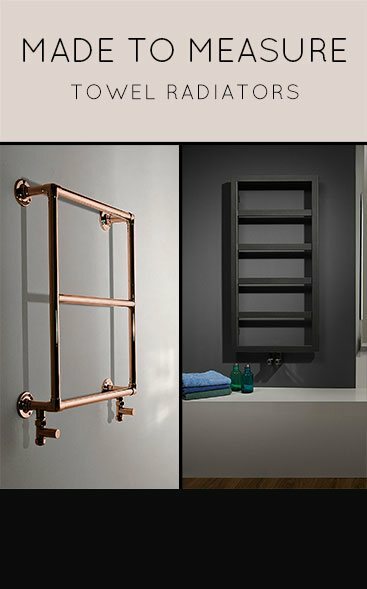 Exclusive collection of luxury heated towel rails and bathroom radiators supplied in traditional styles. Our heated towel warmers are styled on traditional designs which are manufactured in the UK and Italy ensuring European quality. 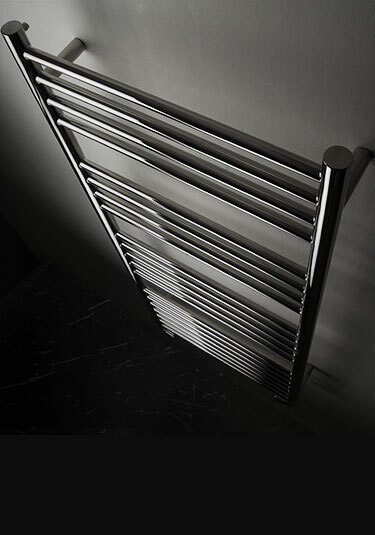 These bathroom towel radiators are supplied in chrome, gold and nickel plated finishes plus polished stainless steel. 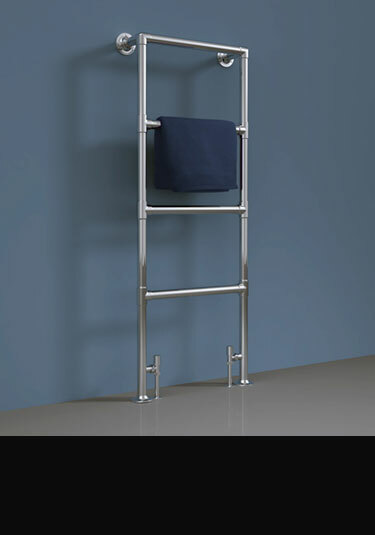 Within this towel rail range we have wall mounted, floor mounted and freestanding designs. Our bathroom radiators can have very high heat outputs and suitable to heat the whole bathroom. This traditional range can be supplied for central heating systems, dual fuel systems for both central heating and electrical systems and electric only systems. 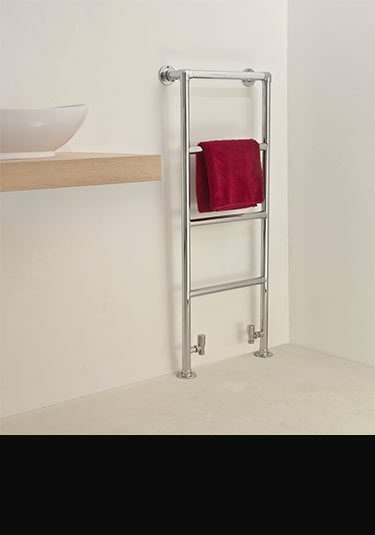 A simple multi-rail towel rail which is high quality manufactured in marine stainless steel and can even be used on open heating systems. 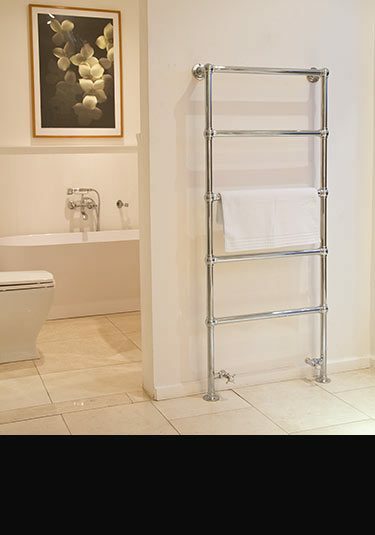 This stainless towel rail is available in lots of sizes to suit all bathrooms. 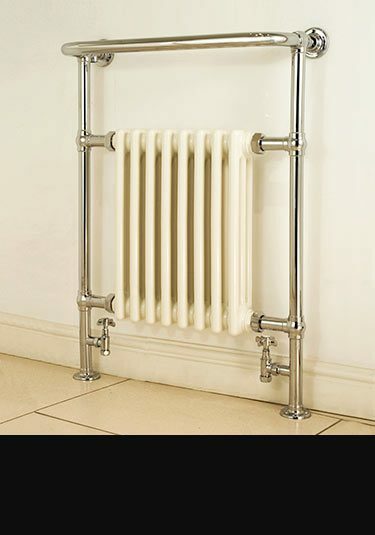 A stylish traditional towel rail for central heating, dual fuel and electrical systems. 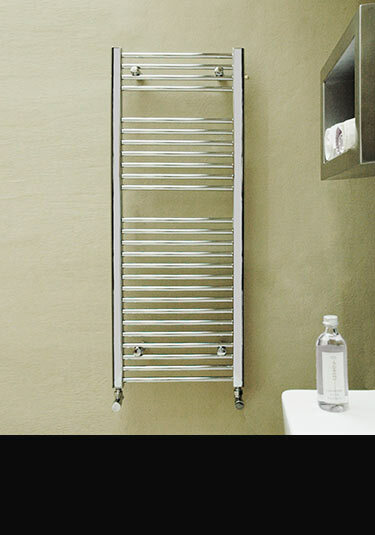 With its well spaced heated bars this bathroom radiator is ideal for hanging large towels. 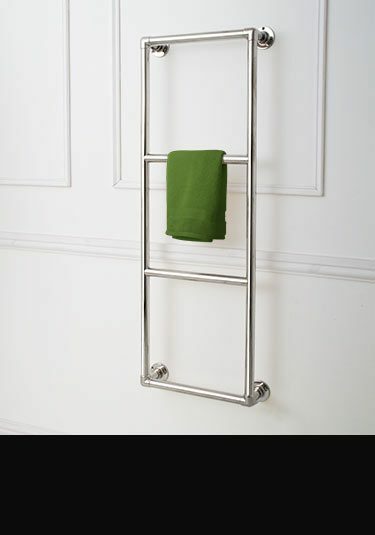 Made in Britain in solid brass this luxury quality towel warmer can be supplied in chrome, gold and nickel finishes. 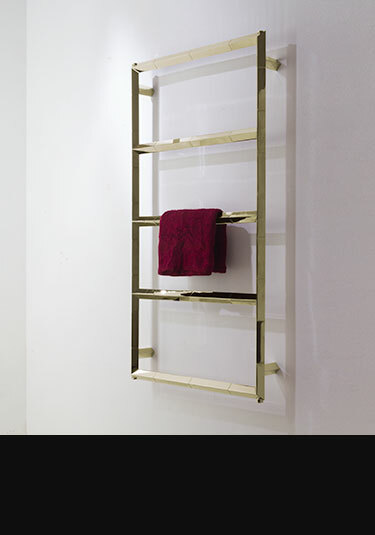 A luxury quality traditional heated towel rail made of solid brass with chrome, nickel and gold plated finishes. 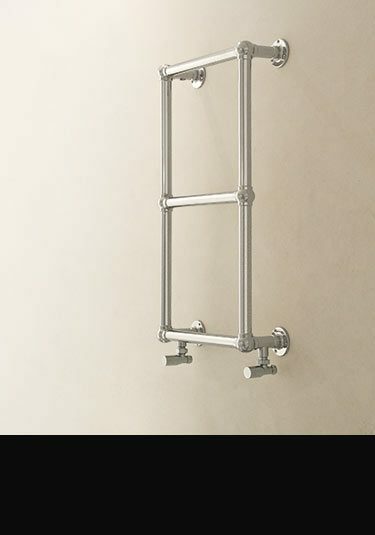 This ball jointed towel rail is based on an old traditional design and is an authentic addition to any high quality bathroom. Made in Britian. 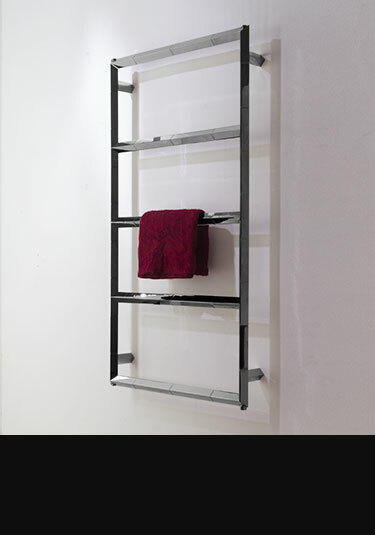 A British made heated towel rail that allows for the easy hanging of bathroom towels. Made of solid brass with the choice of chrome, nickel and gold finishes this heated towel warmer can be supplied in many sizes with bespoke dimensions available to special order. 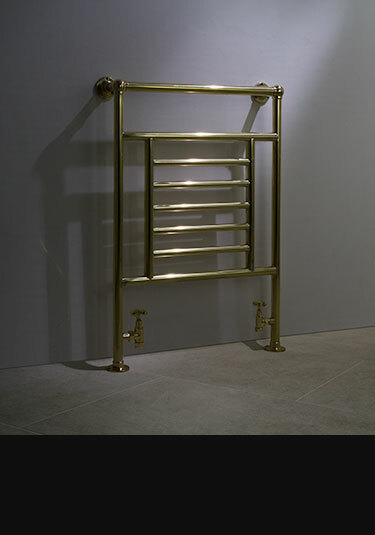 A British made towel warmer supplied in chrome, gold & nickel finishes all onto superior solid brass. 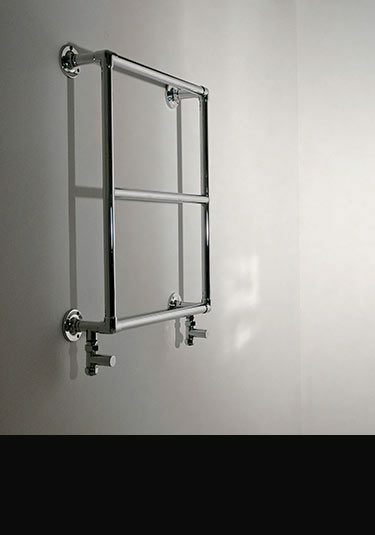 Each heated towel rail can be supplied for central heating, dual fuel and electric only systems. 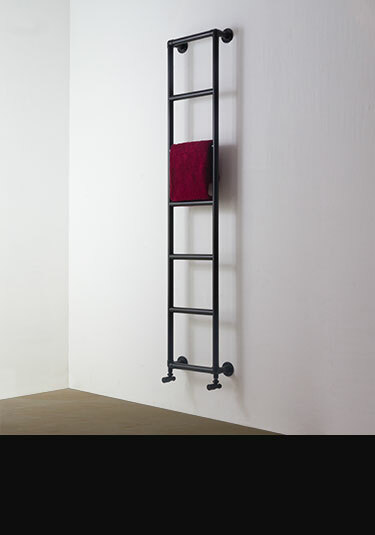 A corner towel rail for floor mounting that is designed and manufactured in the UK. Available in chrome, gold and nickel finish, plated onto solid brass. This corner mounted radiator is luxury quality that a design led bathroom requires. 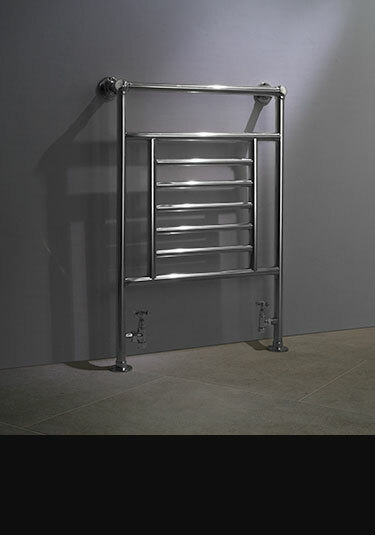 A luxury quality British towel rail that is design to be wall hung. Made in solid brass and with a choice of chrome, nickel and gold finishes. 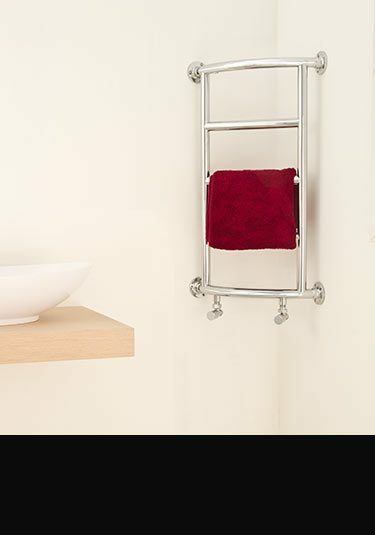 This towel warmer has well space towel hanging bars to make it a practical, high quality and smart choice. 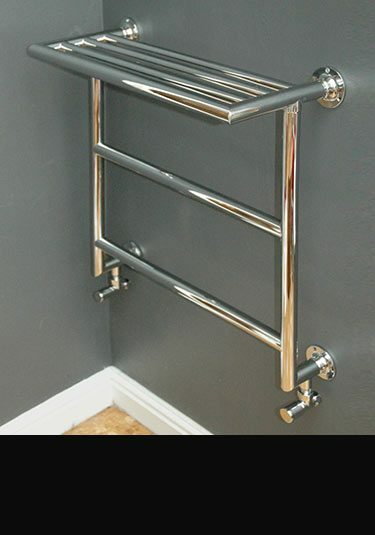 A made in Britain heated towel rail supplied in chrome, gold and nickel, plated onto solid brass. 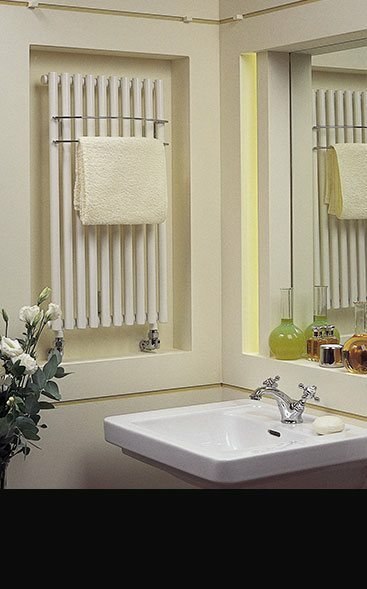 These traditional bathroom radiators are suitable for central heating, dual fuel and electric only systems and supplied in 8 towel rail sizes to suit all bathrooms. 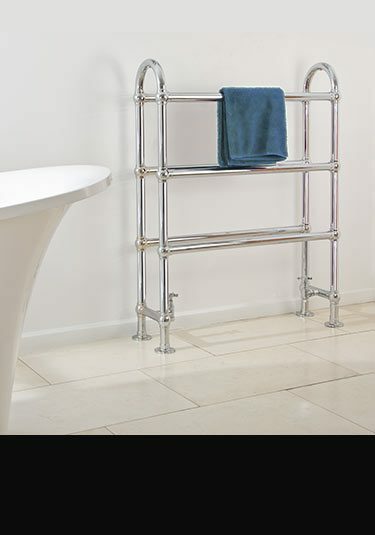 A traditional freestanding towel rail that is designed and made in Britain. 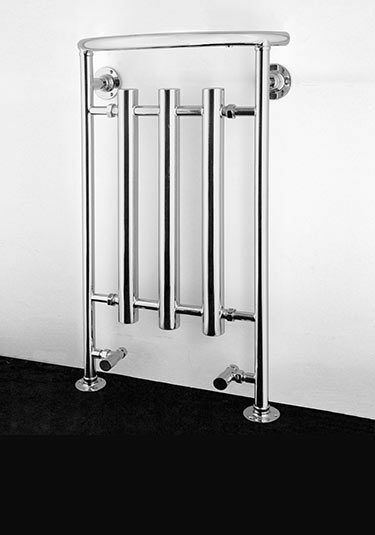 This floor standing bathroom radiator can be supplied in chrome, gold and nickel finishes all on to solid brass, for central heating, dual fuel and electric systems. 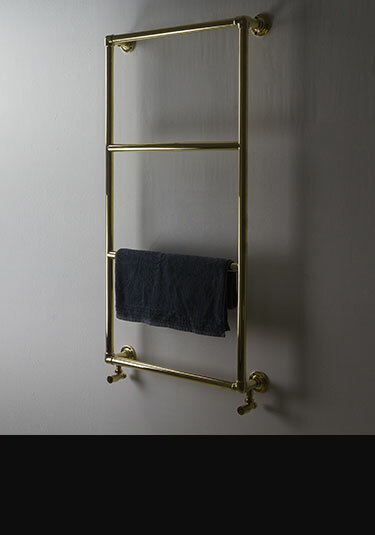 A traditional Victorian bathroom towel rail that is still made in the UK in solid brass with chrome, nickel and gold finishes. 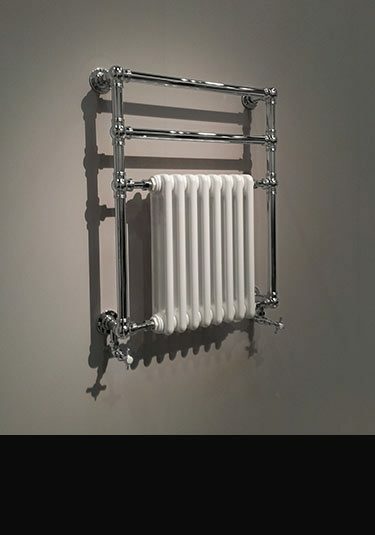 This luxury quality towel rail gives good heat outputs via its central white column radiator and in many bathrooms can be the sole heat source. 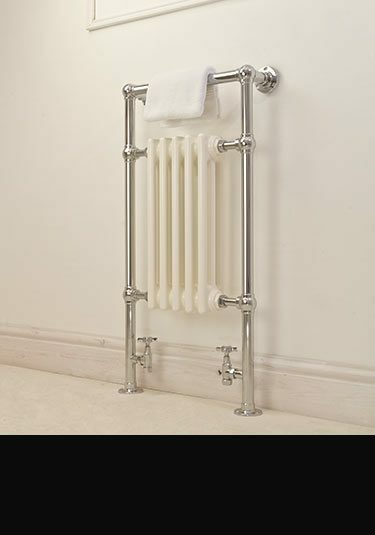 A traditional heated towel rail styled on an old radiator design & made in Great Britain. This towel warmer is available for central heating, dual fuel & electric only systems in chrome, nickel & gold plated finishes. Lovely handmade quality. 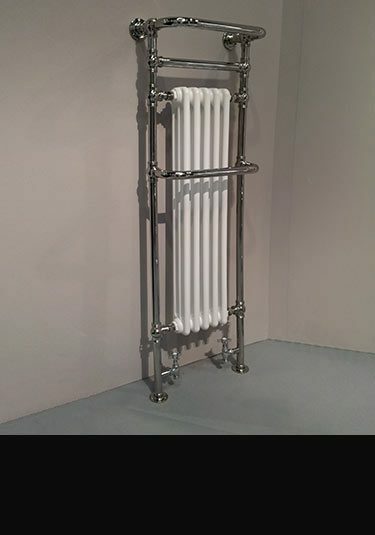 Floor standing traditional Edwardian towel radiator with good heat outputs. 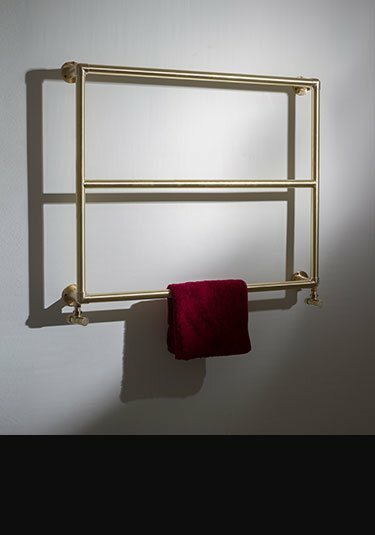 This towel warmer is still manufactured in the UK in solid brass with the options of chrome, nickel and gold plated finish. 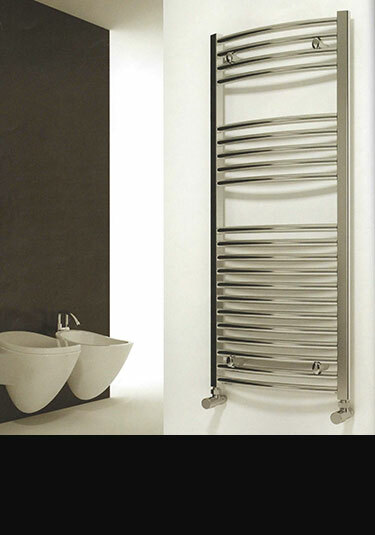 This traditional towel rail is luxury quality that high quality bathrooms require. 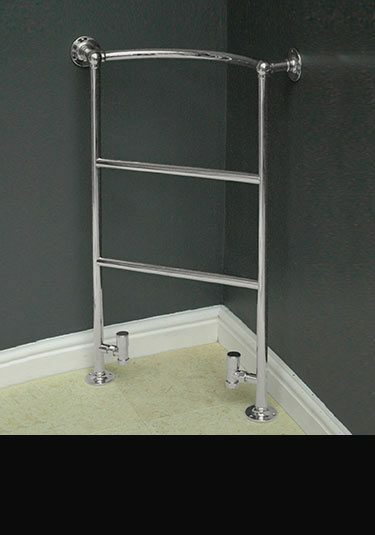 This handy corner mounted towel rail is an ideal choice when there is a space shortage. Made in Britain in solid brass with a choice of chrome, nickel and gold plated finishes and suitable for central heating, dual fuel and electric systems. 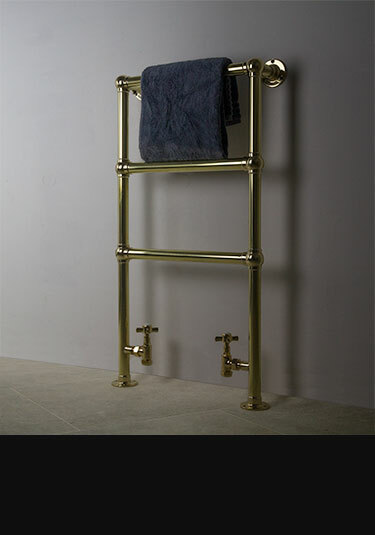 A British made heated towel rail with a handy top rack is made of luxury solid brass with a choice of chrome, nickel and gold plated finishes. 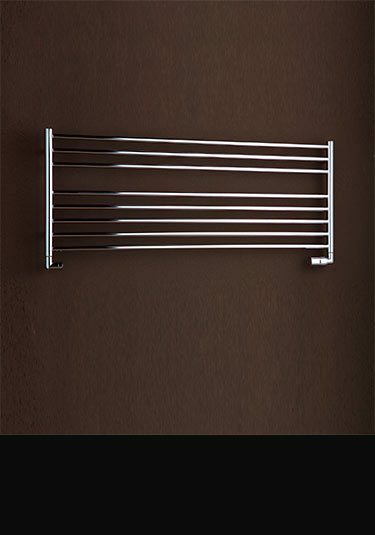 This high quality towel warmer is suitable for central heating, dual fuel and electric only systems. 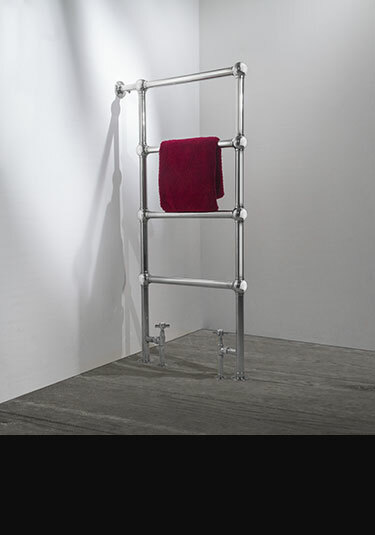 A basic chrome on steel multi-rail towel rail, which is still European manufactured. We would recommend these towel radiators over the Asian versions. Available in many sizes and supplied with a proper 5 year guarantee. 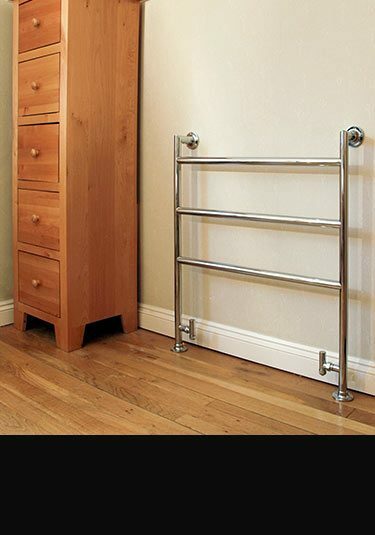 A basic chrome on steel multi-rail towel radiator with curved heating tubes. 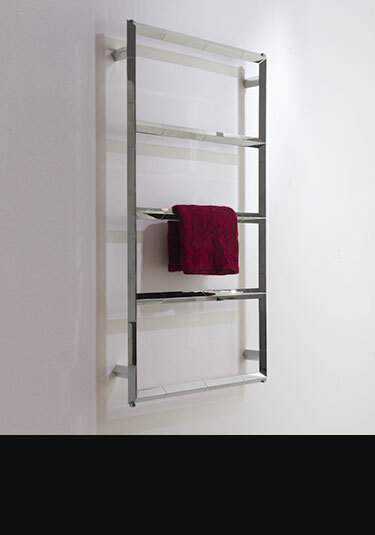 This towel rail is European manufactured and we would recommend these rails over the Asian versions. Available in many sizes and supplied with a proper 5 year guarantee. A white tubular column radiator with tower hanging rails and good heat out puts. Available in white, silver and chrome in 4 radiaror sizes and designed for central heating systems.